A large part of our business involves retail roll-out installations. Because we cover such a broad area of the country, we are able to take on large or small projects and roll them out into hundreds of locations. This gives our clients the satisfaction of having one set price for all job locations as well as the efficiency of having just one point of contact. 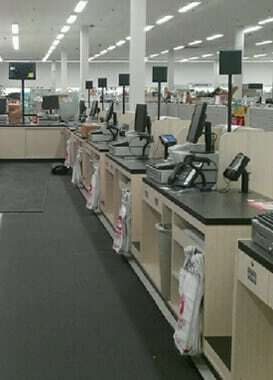 We routinely complete roll outs for the largest of big box stores and smaller retail chains.